PEACE & QUIET IN DEPOE BAY. 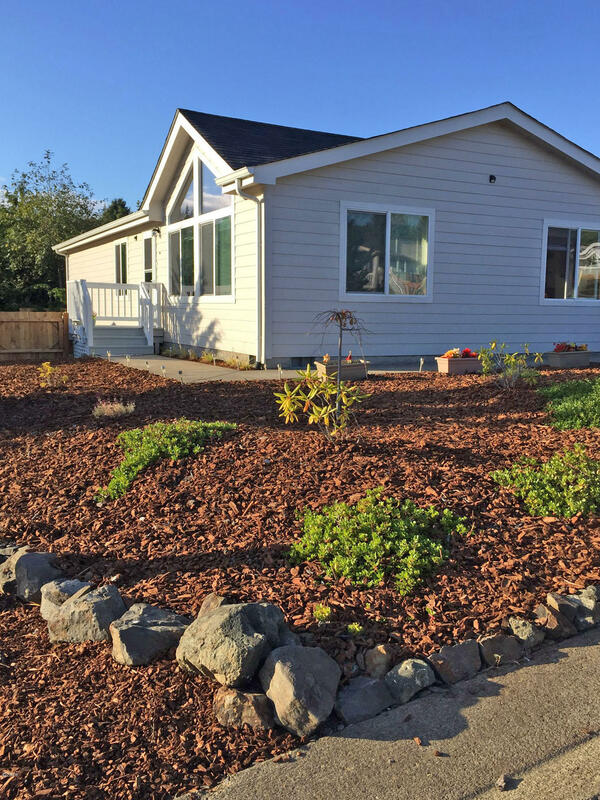 This quality built manufactured home full of custom features sits in the desirable Stonebridge neighborhood. Spacious open floor plan w/master suite. Den w/dbl doors could be a 3rd bdrm. Abundant windows, including a skylight in the kitchen, for lots of natural light. Cherry look cabinetry, tile edged counters, Cortech flooring, stainless steel appliances. Large covered patio with victorian style lamp post lights in the lush manicured landscaped, fully fenced backyard. Home backs up to green space. It sits above the city, out of any tsunami zone but is close to shopping, dining, harbor activities, everything you love about Depoe Bay.